Looking to add a futuristic dimension to your next city getaway? Consider hailing a self-driving cab to get around town. The self-driving cars being pioneered by companies such as Google and Tesla Motors are expected to significantly lower the cost of taxis, potentially making them cheaper than even mass transportation options like buses or subways, according to a report by Bloomberg New Energy Finance and McKinsey & Company. The report estimated that taxi prices in Manhattan could drop to 67 cents a mile by 2025, less than a quarter of today's cost. 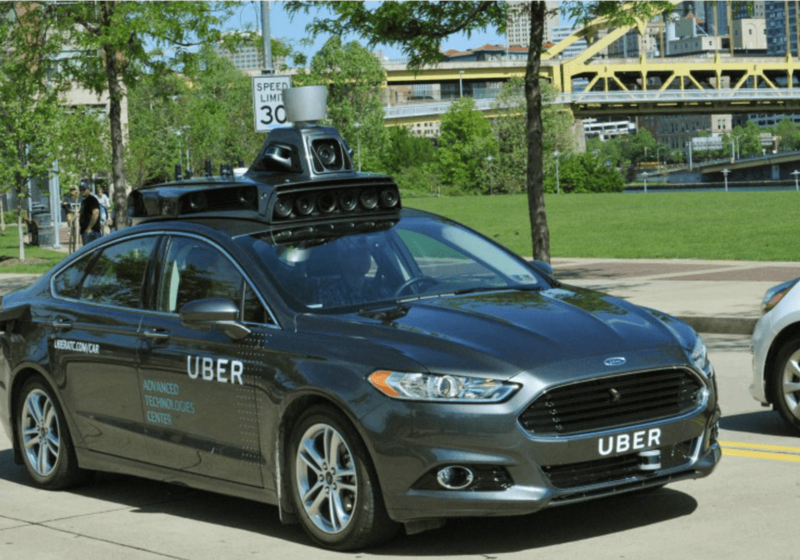 In 2016, Uber launched a pilot fleet of self-driving cars in Pittsburgh. The company has added 100 driverless hybrid Ford Fusion cars to its fleet in Steel City as part of a multi-million-dollar testing program run by the company’s Advanced Technologies Center (ATC). Each of Uber's driverless car comes outfitted with a dozens of sensors including radars, laser scanners, and high resolution cameras to map details of the environment. Uber chose Pittsburgh for this pilot program in part because it offers a wide variety of road types, traffic patterns and weather conditions. Eventually, Uber wants to completely replace its human drivers with self-driving cars. But that day is still a long way off. For now, every self-driving car comes with a human driver who will monitor the ride and take control of the wheel in situations where self-driving technology isn’t reliable, such as, say, crossing a bridge. During the pilot phase in Pittsburgh, customers are assigned to self-driving cars at random. For those who happen to get a driverless car, the ride will be free. As the vast majority of Americans have not yet ridden in a self-driving car, this is a unique opportunity to be able to experience this new technology in action. In Singapore, a similar test of self-driving cars is currently underway by a partnership between the French car company Peugeot and a US-based startup company called nuTonomy, which develops software for self-driving cars. As of now, passengers can hail self-driving cars within a select part of Singapore. The goal of nuTonomy is to expand to a fleet of self-driving taxis in Singapore by 2018. Meanwhile, Uber's rival Lyft plans to test a fleet of driverless electric Chevrolet Bolt cars in several states beginning in 2018. GM has been testing a small number of driverless Bolts in San Francisco and Scottsdale, Arizona, and plans to extend testing this year to Detroit. The time when self-driving cars are the norm is years if not decades away. But Lyft and Uber have teamed up with with Ford, Google and Volvo to form the Self-Driving Coalition for Safer Streets in order to lobby in the US for driverless technology, which these companies say can dramatically reduce the rate of road accidents. Meanwhile, technology is moving quickly. As of June 2016, Google’s fleet of nearly 50 self-driving cars had logged in over 1.5 million miles without a fatal accident. It will require many hundreds of millions more miles of testing before self-driving cars will be considered as safe as traditional human-driven cars.